Golden State Warriors'Stephen Curry Is NBA's 1st Unanimous MVP : The Two-Way The Golden State Warriors guard, who has made a habit of launching — and making — shots from well beyond the 3-point line, is the league's Most Valuable Player for the second year in a row. Golden State Warriors guard Stephen Curry reacts after scoring in the second half of the Warriors' Game 4 win over the Portland Trail Blazers on Monday night. Golden State Warriors guard Stephen Curry, who leads the league in scoring, steals and the seemingly impossible shots that he has made a habit of sinking from well beyond the 3-point line, has been named the NBA's Most Valuable Player for the second year in a row. It's the first time a player has been unanimously chosen for the award. All 130 sportswriters and broadcasters who were allocated an MVP vote, along with one fan who voted, marked Curry in first place. Kawhi Leonard of the San Antonio Spurs came in second, LeBron James of the Cleveland Cavaliers in third, and Oklahoma City Thunder teammates Russell Westbrook and Kevin Durant in fourth and fifth, respectively. Not that there were any doubts about Curry's greatness, but for further proof, look at what he did in Monday night's Game 4 of the Western Conference semifinals against the Portland Trail Blazers. It was Curry's first game back since sustaining a knee injury two weeks ago. 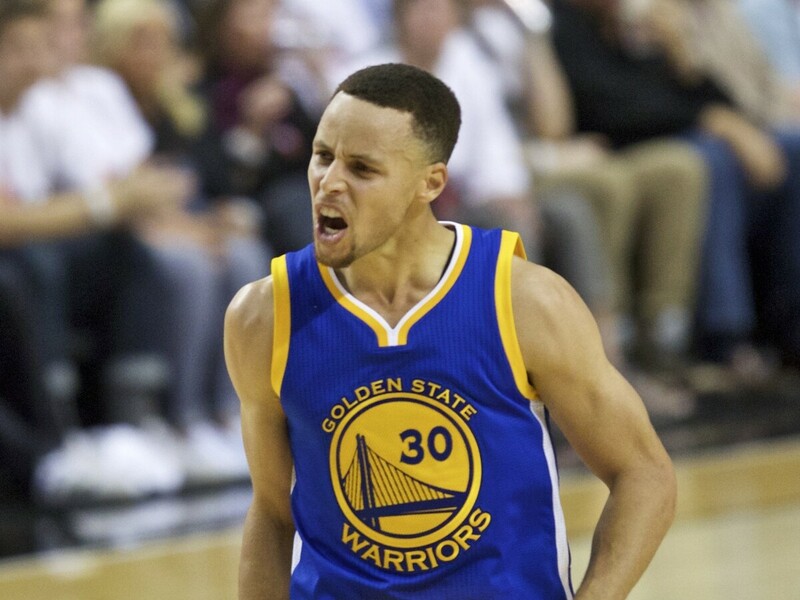 He came off the bench to score 40 points — 17 of which were in overtime — to lead the Warriors to a 132-125 victory. Golden State now leads Portland 3-1 in the seven-game series. If (when) the reigning NBA champions advance to the conference finals, they'll face the winners of the San Antonio-Oklahoma City semifinal series, which is tied at 2-2. In the Eastern Conference finals, Cleveland awaits the winner of the Miami Heat-Toronto Raptors series, which is also tied at two games apiece. A repeat of last year's NBA championship featuring the Cavaliers and the Warriors looks likely, and with Curry back on the court, the MVP award might not be the only trophy he hoists two years in a row.